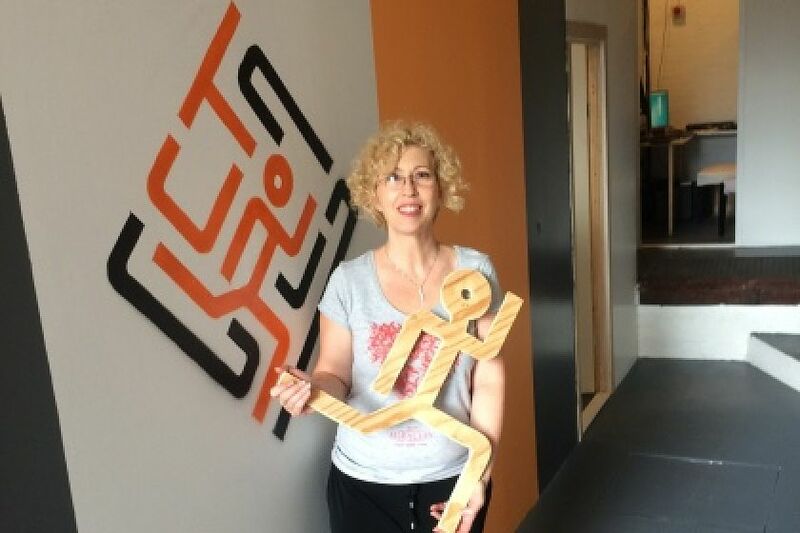 Taking the popular concept of escape games to an exciting new level, entrepreneurs Andrea Bien and Adam Rabcsak, have introduced technology to their ‘second generation’ live escape game, ClueTrace. ClueTrace Team Building Ltd, trading as ClueTrace, Andrea and Adam launched their business, with the support of London Small Business Centre (LSBC), part of the Nwes Group, in Hackney in September 2016. We spoke to them about their new business, the superb response they have received from their customers, and how support from London Small Business Centre is supporting them on their journey. Tell us more about what ClueTrace offers. We’ve taken the popular concept of escape games to an exciting new level by introducing technology to ClueTrace – a ‘second generation’ live escape game. We launched the business, with the support of London Small Business Centre (LSBC), in Hackney in September 2016. As a live escape game, a group of between two and six players are locked in the room. Their mission is to find clues and solve puzzles to unlock and escape the room within sixty minutes. It’s a second generation escape game, which means we have computer controlled clues and puzzles. In the first generation games players were just searching for padlocks and keys in a room. With ClueTrace, they have to use technology to solve logical puzzles and get the codes, which gives an enhanced fun and adventure experience. We have unique games in the UK market, and all our games are immersive, engaging and lots of fun! How has your background influenced your business start-up? Andrea: I have previously worked in market research and marketing, and Adam has a background in hospitality, and understanding the psychology of what people like, and what makes them tick. Together, we realised their skills and expertise were the ideal combination to develop our escape game dream and build a successful brand. Adam: We understand how business works, and understand the market really well. Escape games are still a growing market. Some people travel to different countries just to play a new game. We are both very determined and hardworking and we know we will make a success with this business. What has been the impact of support from the London Small Business Centre? We were put in touch with Business Advisor, Lana Hersak. She worked with us to perfect our business, financial and marketing plans before applying for a Start Up Loan. It was not just the access to finance that has had the biggest impact on our business dream, but the support we have gained from LSBC throughout. It is most helpful know that we are not alone. There is someone we can always ask for help and they will support us. Talking to our Business Advisor, Lana helps us to focus on what we need to do next. It is so easy to get overwhelmed by day to day running of the business – and she gives us lots of useful tips, from marketing to finance. What have been your challenges and highlights to date? Having rented a large studio space in Hackney, we set to work in converting it into three rooms with two escape games. Despite encountering some challenges along the way, including some technical problems, we persevered, overcame issues quickly, and have secured satisfied customers and excellent reviews on TripAdvisor and Facebook. It is the response of our customers that has been the real highlight. With every group coming out elevated and happy, it gives us pleasure to see people having such a good time. We have even welcomed customers who go to all escape rooms in different countries, and they still say it one of the best ones. That gives us an enormous feeling of satisfactions, so all that hard work is worth it. We are looking to expand ClueTrace. With ongoing support from London Small Business Centre through the Start & Grow programme, we already have plans to expand, develop more games, open more rooms, and employ more staff. Do you have any advice for others who are considering their own business start-up? Do your cash flow. Do it properly and precisely. Once you start the business it will be harder than you think, so prepare yourself for working really hard, but don’t give up! If you have not run a business before, or business planning on a scale needed to start a business, then don’t start without help. Get in touch with the Nwes group, they will guide and support you.